Superstar Rihanna has been having quite the year. 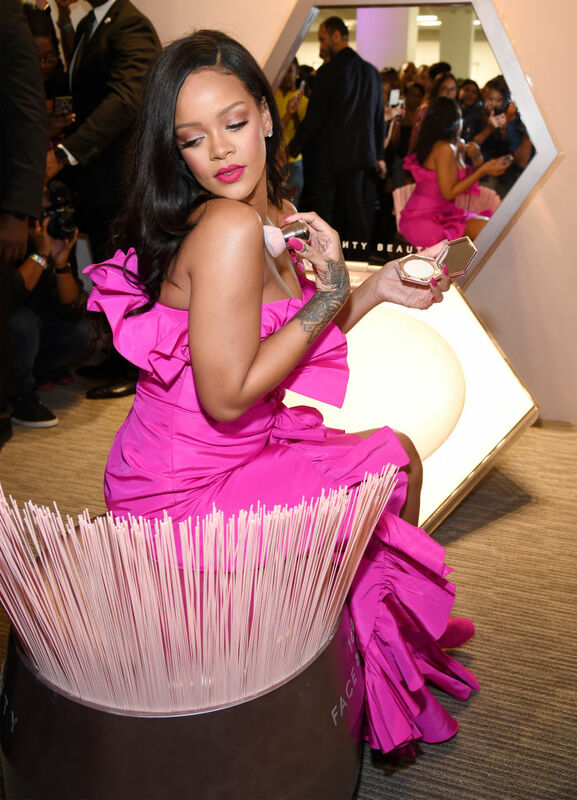 Last night she celebrated a major milestone for her beauty company as Fenty Beauty turned one. The anniversary party held on Friday night (September 14) at Sephora in JCPenney at Kings Plaza mall in Brooklyn, New York. The 30-year-old entertainer stepped out in a vibrant Calvin Klein By Appointment dress.